Recently, The National Association of American Veterans (NAAV) was contacted by the AmazonSmile Foundation Donation Disbursement’s department concerning the issuance of a $27.37 donation from the Foundation that would be posted into our account by August 15, 2015, as a result of the AmazonSmile program activity NAAV participated in between April 1 and June 30, 2015. NAAV is soliciting your assistance to help increase our organization’s donation potential simply by spreading the word about AmazonSmile. All you need to do is click on the this link: http://smile.amazon.com/ch/68-0615923 and start your “AmazonSmile” shopping. All shopping transactions will benefit NAAV. 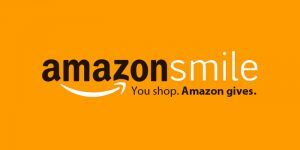 Bookmark the link: http://smile.amazon.com/ch/68-0615923 and support us every time you shop. When you shop at AmazonSmile, Amazon donates 0.5% of the purchase price to National Association Of American Veterans Inc.
Amazon donates to National Association Of American Veterans Inc when you shop @AmazonSmile. http://smile.amazon.com/ch/68-0615923 #YouShopAmazonGives. Thank you for your continued support to NAAV Inc., and its efforts to serve our Nation’s veterans and their family members.